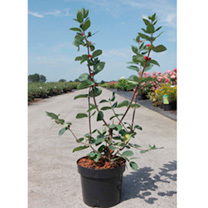 Lonicera Arnold Red is an easy to grow upright honeysuckle. 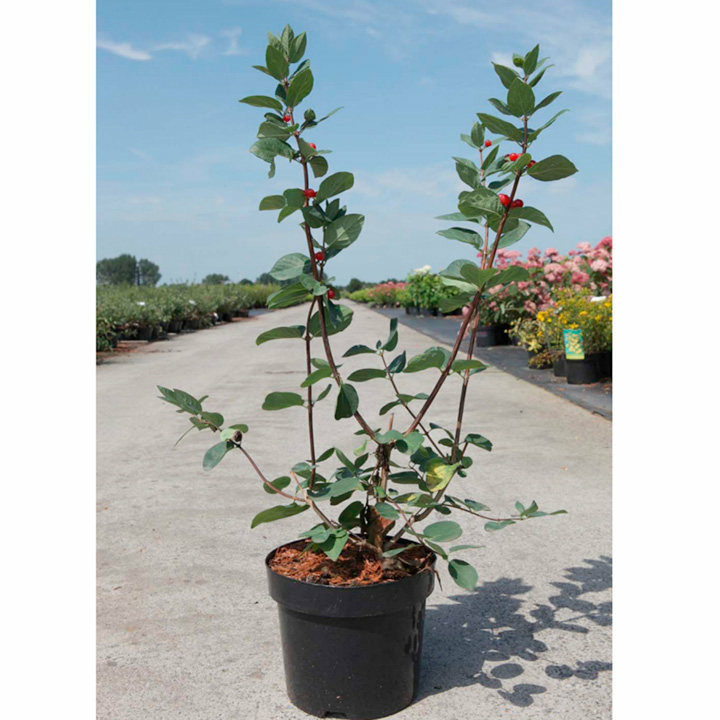 Striking red tubular flowers adorn the plant in late spring and early summer standing out against the cool green leaves. Bunches of large dark red berries follow in autumn which are muched loved by birds. Height 150-200cm. Supplied in a 3 litre pot. Ideal for beds and borders, climber. Prefers full sun or partial shade.